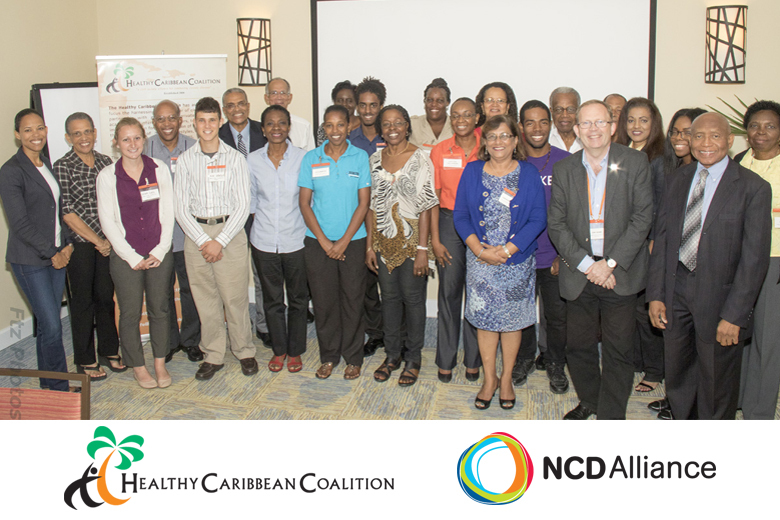 On Saturday June 6th, 2015 at the Courtyard by Marriott Bridgetown in Barbados, 14 civil society organisations met to identify priority areas for NCD advocacy nationally and across the region. The aim of the meeting, funded by the NCD Alliance, was to gain consensus from Caribbean civil society around regional NCD advocacy priorities, in preparation for the Global NCD Alliance Forum: “NCD Advocacy and Accountability in the Post-2015 Era” to be held in November 2014. Opening and closing remarks were provided by Dr. Cary Adams (NCDA), Sir Trevor Hassell (HCC) and Sir George Alleyne. All three speakers underscored the central importance of building the capacity of civil society to be effective partners in the fight against NCDs; playing many roles including service provider, educator, advocate and watchdog. This is the first step in the Caribbean’s consultative process. Over the next few months the HCC will be seeking virtual inputs from our wider membership, on priority advocacy areas and civil society capacity needs to allow for effective advocacy. On November 13-15, 2015, the NCD Alliance (NCDA) will convene the Global NCD Alliance Forum. The Forum will be the first of its kind. In preparation for the Forum, the NCD Alliance conducted a comprehensive participatory needs assessment of civil society NCD alliances aimed at creating a knowledge base and an impetus for civil society strengthening initiatives in the field of NCDs. Regional civil society preparatory meetings were held to inform the NCD Alliance needs assessment. As one of only four regional NCD alliances globally, and a longstanding partner of the NCD Alliance, the HCC will be representing Caribbean civil society at the Forum. 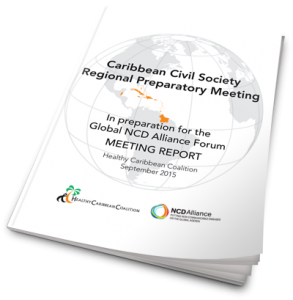 This report summarizes the proceedings of the Caribbean Regional Preparatory Meeting. Read or download the basic report here or the expanded report with full annexes here. To see pictures from this meeting click here. Caribbean CIVIL SOCIETY Regional Preparatory Meeting In preparation for the GLOBAL NCD ALLIANCE FORUM – HCC Master Slides View/download. The NCD Alliance & the Global NCDA Forum – Dr. Cary Adams, CEO UICC and Chair NCD Alliance View/download.